Subscribing to a blog means that you receive an notification each time the author generates a new post. There are a number of ways to subscribe to a blog but it is also important for blog owners to ensure that these facilities are available. Look out for the little orange* button with two curved lines and a dot on a blog. Clicking this usually takes you to the subscribe options supplied by the blog owner. Email - the easiest option and very popular. Get updates delivered direct to your inbox at a specified time each day. The blog owner can preset the time of delivery in their feed settings. 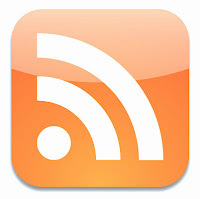 RSS feed - a popular option if you read a lot of blogs. Get updates delivered to your RSS reader (e.g. Google Reader**) and read new updates from many sources in one place. Facebook - if you 'like' the Facebook Page of a blog the owner will ensure that all new posts appear on their Wall so you will receive updates in your news feed. Twitter - many blog owners promote their blogs through their Twitter feed and this is a good place to catch a blog as it goes live. Google+ - a social networking platform that has updates and pages similar to Facebook and is becoming popular due to the way updates can be targeted to certain audiences. Newsletter - many blogs offer a newsletter service which will highlight posts to read. Is usually delivered on a daily, weekly or monthly basis. 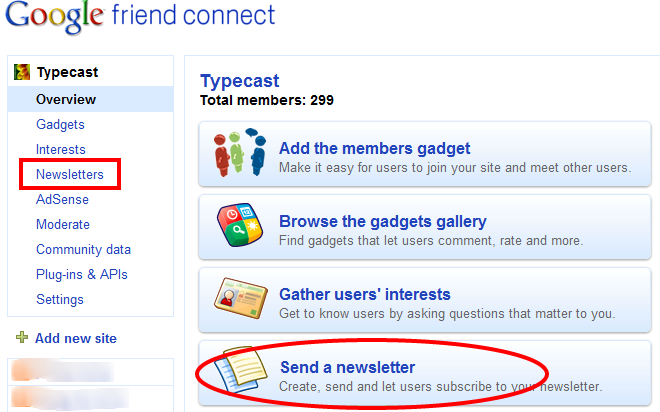 With effect from 1st March 2012 Google ended the use of the Google Friends Connect (GFC) facility for non-Blogger/Blogspot users. If you use(d) GFC then it might want to send your subscribers a quick newsletter to update them on the changes. See the image to the right for more information (click to enlarge). To replace this I have noticed that Networked Blogs - a Facebook app - is becoming more popular to allow people to "follow" blogs and there is a new networking service called Linky Followers which works in a very similar way to GFC or Google Reader although this only really works if both blog owner and blog reader are subscribed to the network. For each of these apps you can create a widget to place in your sidebar for people to easily click on. * Some people change the colour of this button to fit in with their theme. ** Read my "How To Use Google Reader" post for instructions, hints and tips.